Bay Area home shoppers who ventured out in the first month of 2016 were in luck, as the months’ supply of inventory (MSI) of homes for sale expanded in every one of our regions. However, all of our markets still favor sellers, with the exception of Lake Tahoe/Truckee, where plenty of properties await buyers who want to take advantage of the copious snowfall the region is enjoying. Click on the image accompanying each of our regions below for an expanded look at local real estate activity in January. The median sales price in our Contra Costa County region was $1.08 million in January, the 12th consecutive month that prices have been in the seven-digit range. The MSI rose to 1.3, returning to levels recorded in November. Homes sold in an average of 42 days — roughly the same amount of time as in January 2015 — and for 93.8 percent of original prices. Buyers in our East Bay region continued to pay premiums to secure a property in January, but not as much as in recent months, with the average home selling for 104.2 percent of its asking price. The median sales price crept up from the previous month to end January at $899,500. Inventory expanded from December, but at 1.0, the MSI remained very low. Homes stayed on the market for an average of 41 days, the longest amount of time in more than a year. At $935,000, January marked the first time in 11 months that the median sales price in Marin County dropped below $1 million. The average home sold for 96 percent of its original price, nearly identical to the previous two months. Homes sold in an average of 53 days, while the MSI nearly doubled from December, climbing to 1.7. January was a good time to be a buyer in Napa County; the average home sold for 84.2 percent of its asking price. The median sales price relaxed slightly to close the month at $581,250. Buyers could also afford to take more time than in previous months, with homes taking an average of 103 days to sell. The MSI rose to 2.7, but there are fewer available properties than there were at the same time last year. The pace of sales for a single-family home in San Francisco slowed as the year began, with properties selling in an average of 43 days. After dipping below 1.0 in the final month of 2015, the MSI expanded to 1.9. The median sales price eased just a bit from December, falling to $1,167,500, but prices haven’t been under $1 million in a year. The average home fetched 104.4 percent of its asking price, mirroring what we saw last January. The median sales price for a San Francisco condominium inched up in January to $1,124,500. As with single-family homes, prices have not dipped below $1 million in a year. Homes sold for 101.8 percent of original prices, the smallest premiums recorded in more than a year. The pace of sales has been progressively slowing since September, and the average condominium took 47 days to find a buyer. The MSI increased to 2.4, nearly identical to levels recorded in January 2015. With a median sales price of $2.5 million, Pacific Union’s Silicon Valley region remains the most expensive in which we operate. In January, homes sold for 98.4 percent of asking prices, basically in line with what we saw in the two preceding months. The MSI more than doubled from December, finishing the month at 2.4, and homes sold in an average of 39 days. The median sales price in our Mid-Peninsula subregion dropped to $1.5 million in January, returning to levels recorded in the fall. At 1.7, the MSI in the region is higher than it has been since February 2015. Homes sold for an average of 102.7 percent of asking prices, and properties found buyers in a brisk 24 days. The median sales price in Sonoma County has been in the same general range since last spring, but January’s $555,000 marks a yearly high. The average property sold for 93.8 percent of its asking price, identical to December’s number. The pace of sales has been slowing since November, and homes took an average of 81 days to leave the market in January. After dropping in the final month of 2015, the MSI was back to 1.9 in January. As was the case last January, the pace of sales was relatively slow in our Sonoma Valley region, with homes taking an average of 87 days to find a buyer. At $675,000, the median sales price was down from December but up substantially from a year earlier. The MSI inched up to 2.0, and the average seller took in 91 percent of the asking price. 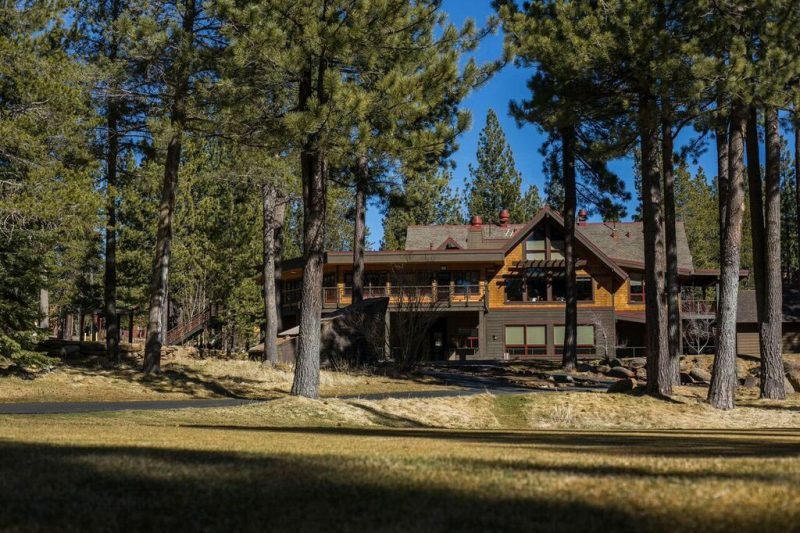 With the return of snow to the Sierra Nevada, the median sales price for a single-family home in our Lake Tahoe/Truckee region climbed to $661,500, the highest since January 2015. Sellers received an average of 93.8 percent of list prices, consistent with numbers recorded in the preceding four months. Homes sold in an average of 141 days, a month longer than in December, while the MSI expanded to 5.7. At $321,000, the median sales price for a condominium in the Lake Tahoe/Truckee area was down a bit from December but up from the previous January. Sellers have been netting progressively higher percentages of original prices since September and took in 93.8 percent in January. Condominiums sold in an average of 173 days, the slowest pace of sales in more than a year, and while the MSI dipped a bit to 10.9, this market still clearly favors buyers.